Perseverance would be a good word to describe Greg Hanna. 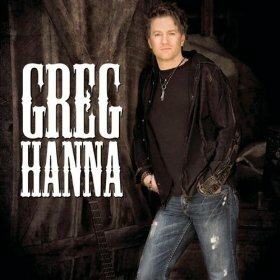 Over 15 years ago in 1995 Greg had a top thirty hit on the Canadian country charts. He followed that up another charting single and a top ten single. That’s a pretty good start for a new artist, but no full length album saw the light of day. Greg later competed on Nashville Star and eventually was able to release his official debut album in 2009. A new single has been released from that record and fans have also been treated to a new video. Makin’ Love Real is the latest song from Greg and it’s sure to have women out there smiling. The song is a love song about a man that’s been completely changed by a woman’s love. He was never the kind of guy that saw himself settling down or falling for someone. The guy has found his real love though and he’s ready to commit to her and make it last for a lifetime. Makin’ Love Real could be a great wedding song and I’m sure it will be played at a few celebrations. The song is just a good love song. Greg sings about all the emotions new couples feel when they know they’re going to be with each other forever. Makin’ Love Real is on the pop-country border, but this approach has worked well in the past for other artists. This could be a big song for Greg. The video is great also.